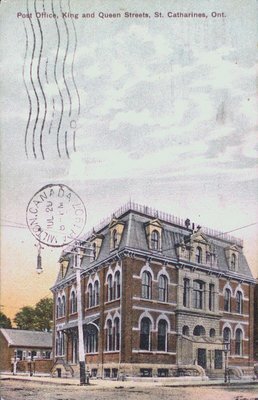 A postcard of the Post Office at the corner of King Street & Queen Street, near 38 Queen Street, St. Catharines, Ontario. c1900. Postmarked 1907.